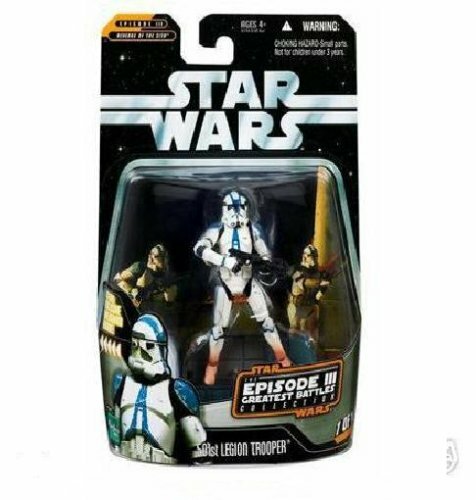 These highly trained tactical ops clone troopers accompany Darth Vader on a mission to destroy the Jedi. Vader and the troopers storm the Jedi Temple and, with crack markmanship and coordinated team maneuvers, quickly eliminate the Jedi inside. 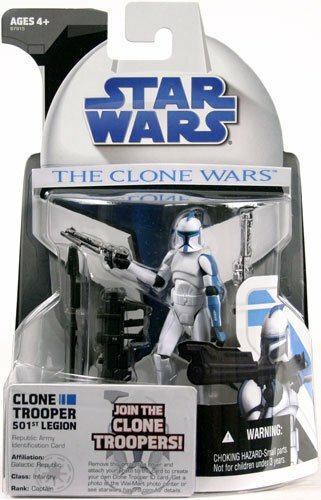 The clone trooper forces are gathering for their next mission - and they want you to join them! 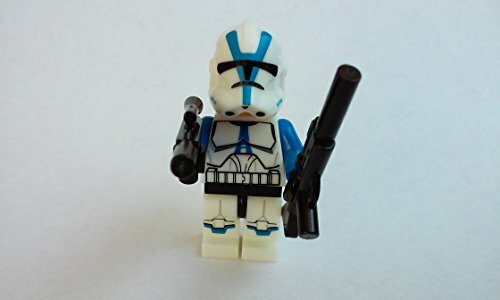 With your very own Republic Army Identification Card, you can become a member of the most elite fighting force in the galaxy. Your destiny awaits - join today! 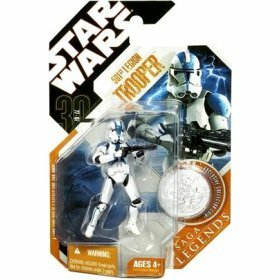 This warrior Clone Trooper - 501st Legion figure is rendered in careful detail to look just like the character in the Star Wars: Revenge of the Sith film! 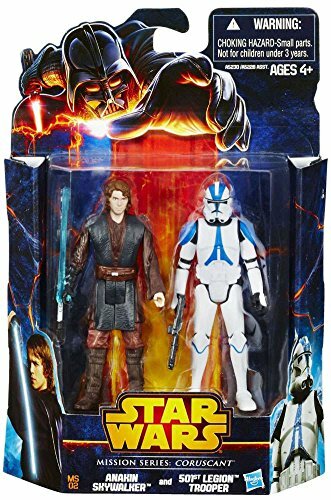 He’s a fierce warrior in the intergalactic battle between good and evil. 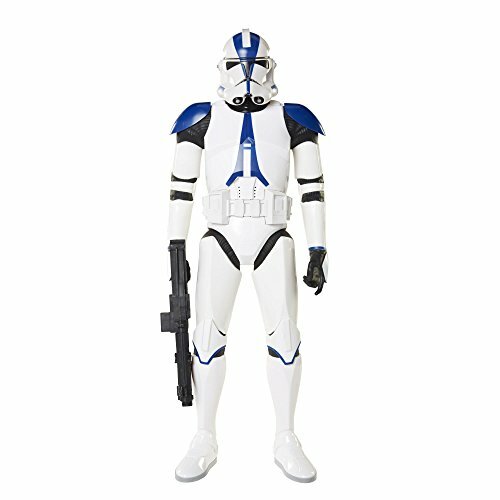 Reenact your favorite Star Wars battles or create brand new ones with this cool Clone Trooper - 501st Legion figure! 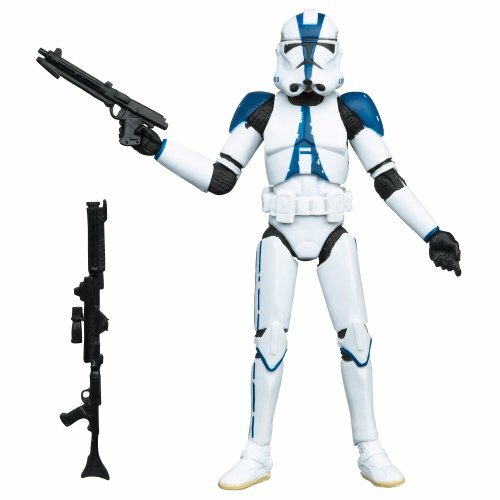 Straight out of the Star Wars universe come these BIG FIGS Star Wars classic action figures! The new gold standard to build your action figure world. 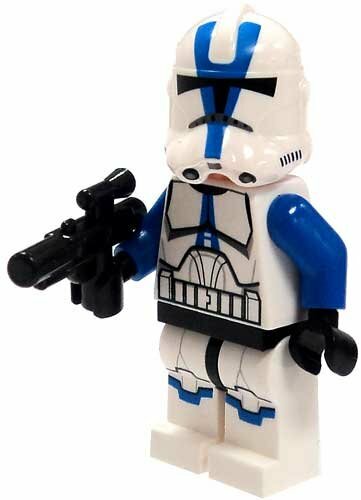 501st Legion Clone Trooper stands 18" tall and has seven points of articulation for fully poseable action. 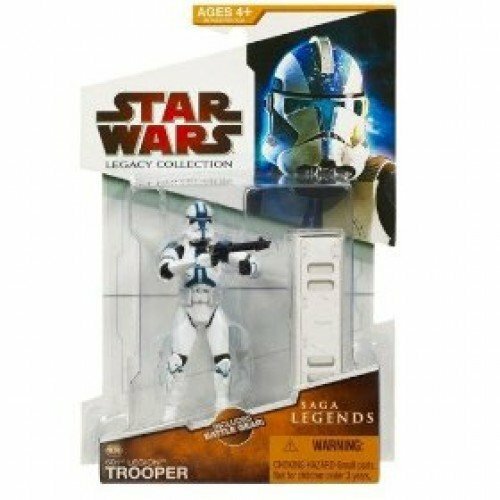 Collect all the Giant Star Wars Classic Action Figures! May the force be with you! For ages 3 and up.